1. This month I've been helping to edit my brother's doctoral dissertation during my free time, which has been both enlightening and challenging. I like to edit perhaps more than I like to write, so am I allowed to say the process has even been a little bit fun? It's almost done, and I am relieved--but not as much as my bro is, considering how long he's been working toward this goal. He's been a college student for 18 straight years, nine of which he's also been a professor/instructor. It's time to wrap this up already, and I'm glad to be of help. 2. As of September 1, I've taken on an entirely new role at work, on top of my old one. Unfortunately it did not come with additional prestige or pay yet, but it did come with a new budget to manage, two domestic trips so far (along with an upcoming trip to London), and what feels like endless proverbial cat herding. I am basically winging it, but the older I get the more I realize I'm not alone in that. It's actually going slightly better than I expected, so WOOHOO! 4. I'm also working on growing the newest member of our family, due next spring! I'm not completely through the first trimester just yet, but since I've already told both immediate family and work, I figured I'd let all of you know too. It hasn't been the most relaxing time to be nauseated 23 hours a day, but there's never a good time for that I guess. And if I've felt stretched and busy, our superhero Ez has been on overdrive -- working his normal long hours, commuting an eternity each way and coming home to take care of his tired, queasy wife hunched over a laptop and a trash can simultaneously, and a bored and hungry three-year-old. Johnnie is completely thrilled about the "baby in mommy's tummy" though, and so are we. 5. This weekend I turn 31, and I have barely thought about it. In fact, I keep thinking about weekend plans/To Dos and forgetting about it altogether. I'm thankful for another year of life of course, but I don't have any profound sadness or excitement about this particularly birthday. There are so many other important things on my mind! So that's the update. It's been such a big month! Is anyone still reading? How are you guys? So good to hear from you guys. (All four of you!) Congratulations on #2! Hoping for a boy I suppose? So you're over 31 now, hippies will no longer trust you. "Never trust anyone over 30"
You're part of the system now. I really like the guttering. That looks like soldered seams! Very industrial looking and fitting for your house. We really don't have a preference! A boy would be fun and different, but it would be so sweet to have two girls. We have boy names fairly narrowed down, but so far we are coming up short on girl names. Good thing we have awhile to decide. Yay! Congrats on #2 - here's to a short lived morning sickness period! Thank you! I'm already starting to notice the symptoms lessening. Thankfully! Hope work calms down, as well as the nausea so you can fully enjoy the rest of your pregnancy. Her cuteness just may have been one of the factors! Sneaky! Many congratulations to you guys! Yay, I've been wondering when #2 would happen (although for no reason other than a gut feeling, I was kind of suspicious that you were!). Does this change your housing plans? Will you look more urgently for your next house before he/she arrives, or just wait for the ONE? Hang in there, the nausea will be over soon! So happy for you guys!!! We really don't feel an urgent need to move until J starts school, which would be fall 2016. If we got all our ducks in a row and found THE house before then, we might do it, but right now we are mainly looking at our most desired neighborhoods and figuring out exactly the kind of house we'd want. Though we know we want to downsize to a degree, we haven't decided if that means small single family or townhouse or what. Lots of factors to weigh! 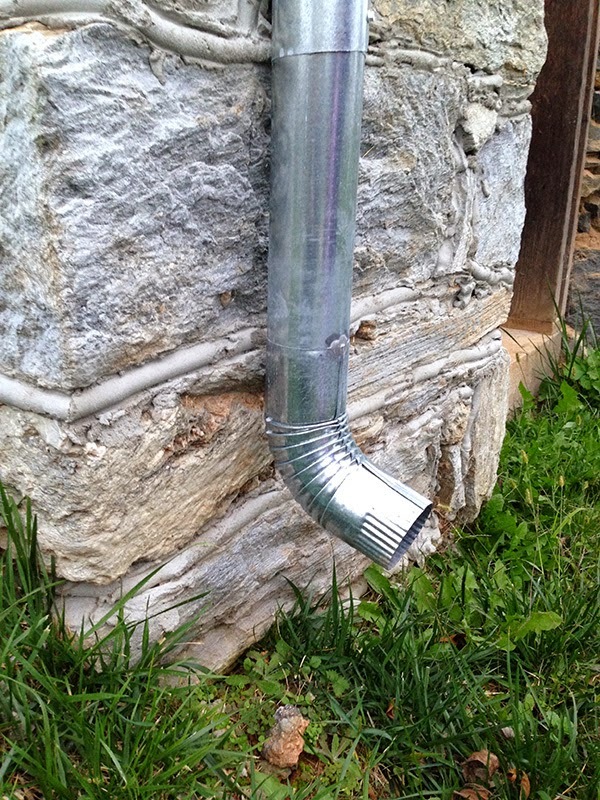 The gutters and downspouts are nice! We just got new gutters too and I love them more than I probably should, but since they cost a small fortune I feel obligated to admire them each time I pull in and out of our drive. Woot woot! I'm praying for another baby (boy or girl) with those sweet dimples. Congratulations on the new baby.......such a gift of love and hope. I hope the nausea is soon to subside. 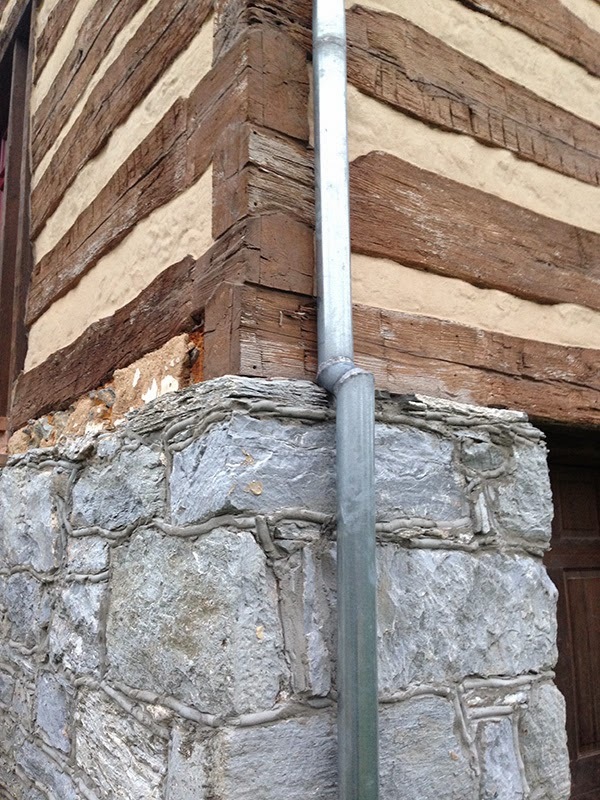 According to my once upon a time employer, a tin smith, gutters and downspouts protect the foundation of your home. Good to know all is well with you.